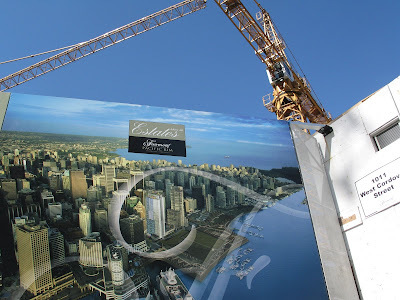 Signage for The Fairmont Pacific Rim Vancouver that's under construction. Sue Frause photo. In the hefty Sunday edition of The New York Times, Christopher Solomon penned a travel feature titled A Building Boom to Welcome the Winter Games. The story includes a travel guide of preferred places to stay (Wedgewood Hotel, Sutton Place Hotel), dine (Lift, The Locus Cafe, Aurora Bistro, Nu) and a round-up of things to do.